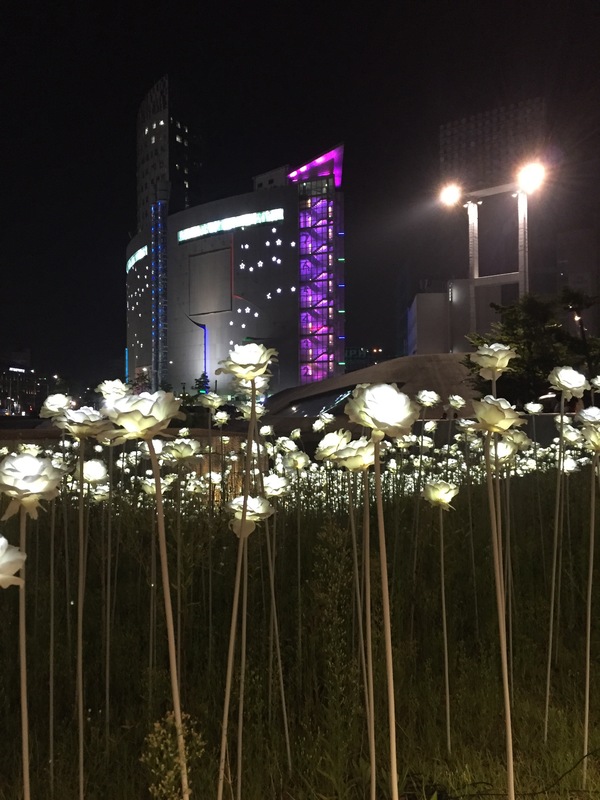 If you love shopping and are looking for something to do into the wee hours of the night, Dongdaemun is the place for you. They have malls that are basically open all night and street stalls that don’t even get set up until after 10 PM. 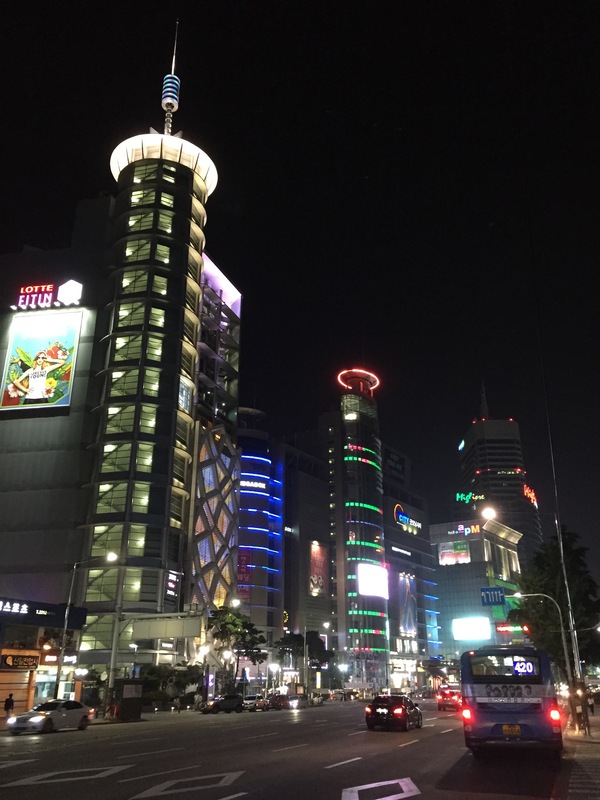 Basically all of Dongdaemun is alive at night, but here are some exits to help you find your way around. To shop the yellow tents, take the subway to Dongdaemun station, use exit #1 (near the Design Museum), exit 2 (same side as design museum), exit #3 (drops you off in the middle of all of the tents), or exit #10. 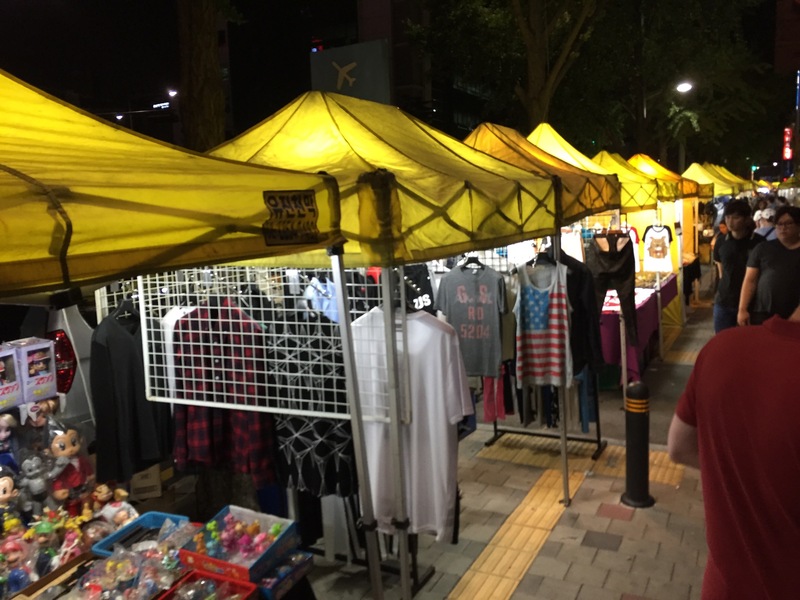 There is a variety of merchandise being sold in these tents from clothes, to jewelry, to shoes, to accessories, to bags. Afterwards we walked through the Design Museum grounds and found that they had set up a sea of LED roses, which looked awesome at night! Afterwards we roamed the plethora of shopping malls until our feet were exhausted and our wallets were tired. 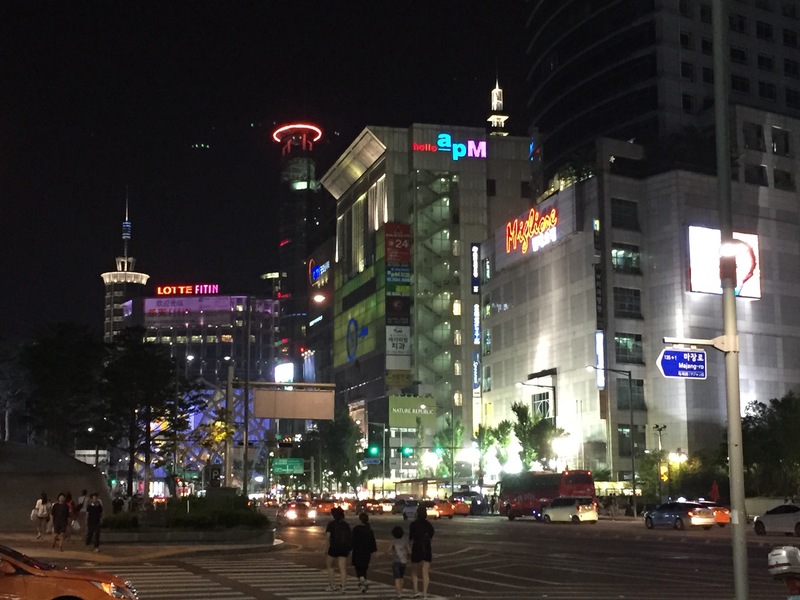 Enjoy your time when you visit Dongdaemun and hope you find some great finds! Next Post Ddok Galbi is delicious! Nice photos. Dongdaemun is a fun area. Yes the outdoor led flower exhibit at the museum is really cool! !